I made this Mageweave Cloth Farming guide to help out players who want to farm the cloths instead of buying them from the Auction House. 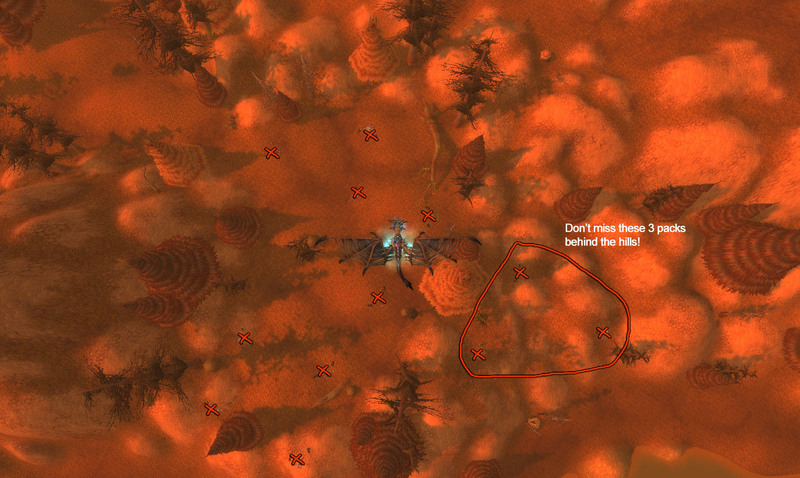 I decided to search for places with high density of mobs which I can kill and drop [Mageweave Cloth]. I traveled around Azeroth, and after a while I made a list of places. 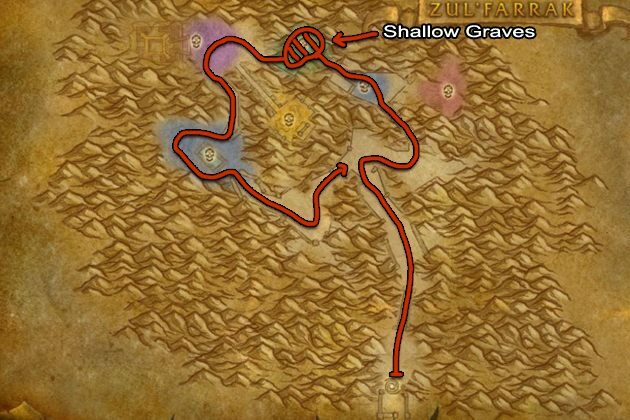 You will not be able to farm at Zul'Farrak if you don't have a high level character, so scroll down to the bottom of the guide to find alternative farming places. 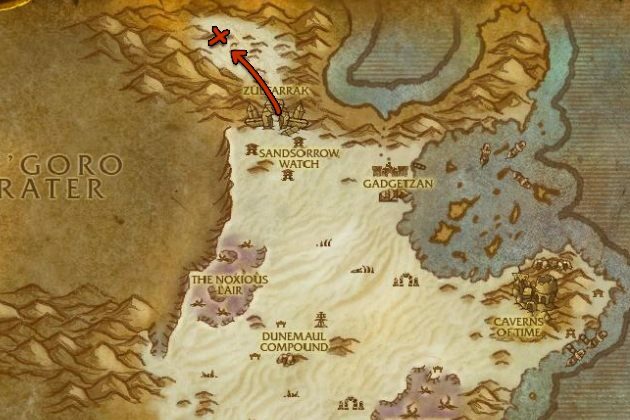 Zul'Farrak is located in northwestern Tanaris, and it's my favorite place to farm Mageweave Cloth because you can use your mount inside and it speeds up the pulling of mobs. If you don't have the [Chauffeured Chopper], just try to pull as many mobs with your mount as possible. IMPORTANT! Do this before you start: If you've got a flying mount, in addition to Zul'Farrak instance itself, you can fly behind the portal to the non-instanced version of Zul-Farrak. If you head to the spot where the execution area is with the big stairs that looks like a small pyramid, there are about 100 mobs there. You should kill these mobs before every instance run. Respawn time is about 3-4 minutes. Once you are inside, you should ALWAYS open Shallow Graves. The graves are located near Witch Doctor Zum'rah. When you open these, zombies will spawn and they also drop Mageweave Cloth. After you cleared the instance, go outside and reset it by right clicking over your own portrait then click the "Reset all instance" button. This restarts the whole instance and all mobs will be back. You can only do 10 instance runs in an hour, this means sometimes you might have to wait a bit. You will not be able to farm at Sratholme if you don't have a high level character. If you don't have the chopper mount, and you can't farm the mobs outside the non-instanced version of Zul-Farrak (someone is farming there), then there is not much difference between Zul'Farrak and Stratholme, so choose the one you prefer. 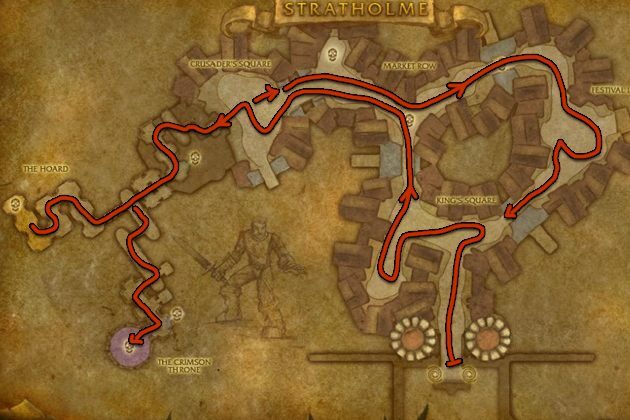 You can enter Stratholme at the Main Gate, located at Northwest of Eastern Plaguelands. 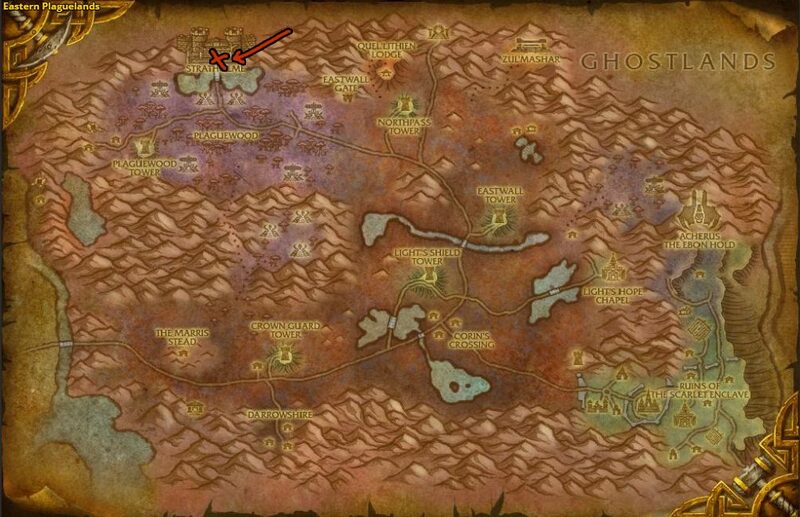 Once you cleared the instance, go outside and reset the instance, if you don't know how to do it, just read it at the end of the Zul'Farrak section of this guide. Farming Death's Step Putrifiers and Death's Step Miscreations at Eastern Plaguelands is probably the best place to farm Mageweave Cloth if you can't solo Zul'Farrak or Stratholme. These mobs are in pack of three and the place is designed in a way that there is always at least 3 pack of these groups up. This means a new pack of mobs will spawn instantly when the number of packs in the area are down to 3. NOTE: Some of the packs are a bit harder to notice, here is a picture of all the packs in the area. Sometimes this place is heavily farmed, so if you find players already farming there, then I suggest you to visit other farming places. Farming Dunemaul Ogres in Tanaris is a good alternative if you can't farm at Eastern Plaguelands. They are a bit spread apart, but the Ogres drop 1-3 Mageweave and the respawn rate is quick. Once you are done, visit my Runecloth farming page to farm some Runecloth!